Moisture Grabbers by CONCROBIUM protects any area of your home from musty odors and moisture damage. 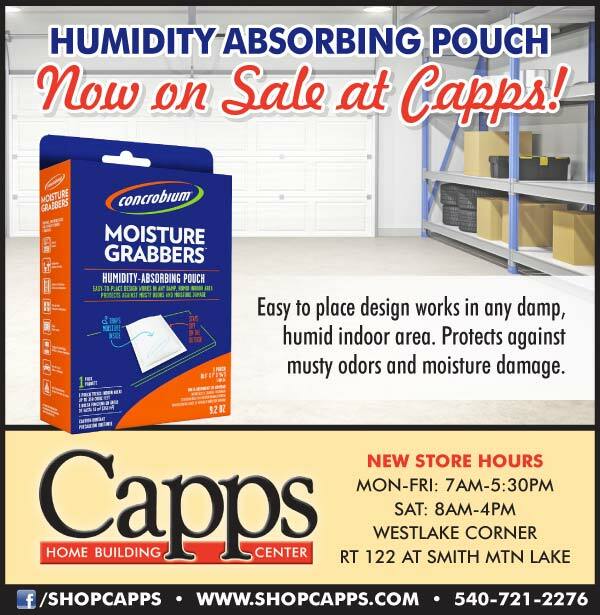 These easy-to-place humidity absorbing pouches have a unique water-attracting and storage technology is engineered to capture and reduce moisture in small, confined areas. Stop by Capps and pick some up. On sale for a limited time!